…in the style of the historic television Christmas variety shows of Bing, Crosby, Ella Fitzgerald, Perry Como, Dinah Shore and the great American singers of yesteryear! An evening of familiar holiday melodies to fill your hearts with warmth and memories. Featuring the incomparable Elli Clarke and her ensemble of master jazz instrumentalists… dance soloists from Cuban Classical Ballet of Miami, Andrew Boss (piano), guests of the Miss Grid Music School, and a special surprise celebrity guest artist. 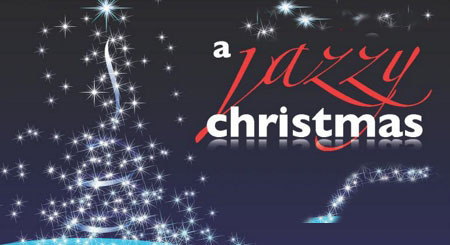 A Jazzy Christmas will feature many of the great holiday standards, carols, classics, and American popular Christmas songs such as Irving Berlin’s White Christmas. Their talents and voices will still be filling you with happiness long after the presents are unwrapped! Elli, a native of New York City, began her professional singing career at the age of 8 on the bilingual Sesame Street TV series as the soloist for two of the most well-known songs of the popular show as well as voice overs for several of the lead characters. Moving forward, Elli began serious music studies on the piano at 9 years old and as her voice settled she began private vocal lessons as well. During these formative years Elli also worked actively in the Latin and American commercial industry doing voice overs and jingles. After high school, Elli attended the Mannes School of Music in NYC concentrating on jazz vocal studies. It was during her early career as a professional jazz singer that she realized that she possessed a serious desire to learn more about the management and booking of artists as well as all aspects of production. Slowly she found she was more fascinated by the business and production areas and that she was actually quite good at it. Imagine, a musician with a business sense…unheard of! After relocating to South Florida 8 years ago to escape the hustle and bustle of New York City, Elli’s love of her art form resurfaced. After managing several celebrated international jazz artists and producing popular jazz festivals around the world, Elli has found herself once again in demand as a master jazz artist and has recently been spent long stints performing with her jazz ensemble in Asia and the Middle East, particularly Dubai.